1974: Tommy and Ima Stockard buy the current property on Admiral Doyle and open Hancock Fabrics, a 10,000 sq ft. free standing retail store. 1977: Backstage is added as a Young Men’s Fashion Shop. 1980: The Shopping Center is expanded to include the shops which currently house Complete Physique, Natural Nutrition, Republic Finance and Cajuns Guns and Tackle. The Shopping Center is named for the College Park Subdivision located directly behind. 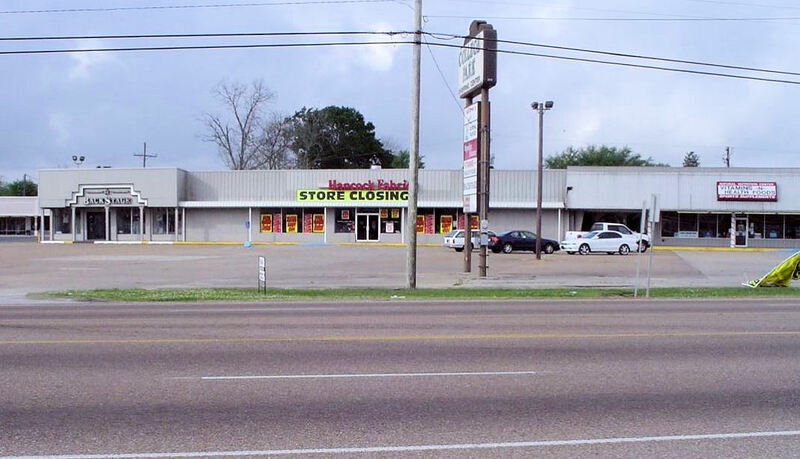 2006: The entire Hancock Fabric Company, nationwide, entered Chapter 11 Bankruptcy proceeding and eventually closed the New Iberia store. At that point Backstage assumed the management responsibilities of the Center. 2008: Mr. and Mrs. Stockard sell the Center to College Park Realty LLC and Backstage Inc. continues to serve as Property Manger and Leasing Agent to this day.